Making IT Personal was an EU-funded programme to train volunteers as digital outreach trainers (DOTs) who could teach digital skills to people in South Yorkshire who not otherwise be able to access new digital services. The young DOTs also gained new skills in teaching and mentoring. 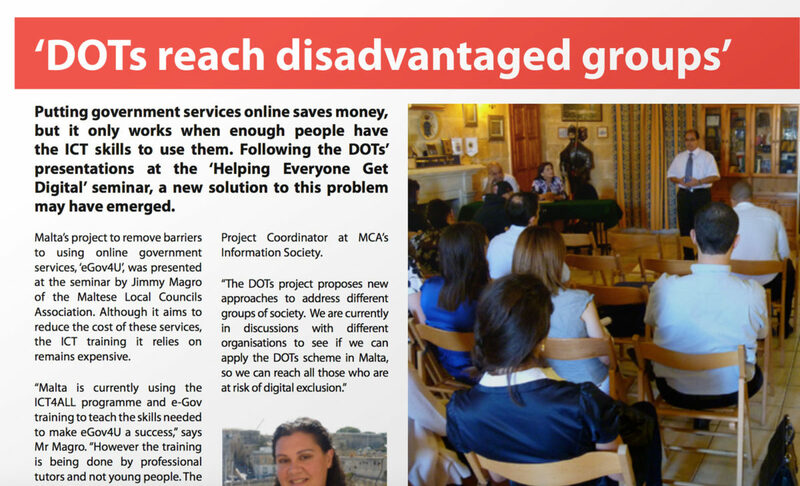 We helped create a special report on the programme and its knowledge exchange in Malta. We had a fantastic time interviewing the DOTs and learning about this very worthwhile initiative!